Machine condition monitoring tracks machine or asset conditions to predict mechanical wear and failure. Vibration, noise, and temperature are key state indicators. Data trends can show how to prevent unexpected failure and costly repair. Industrial and commercial customers trust our solution to monitor the health and condition of their equipments and processes to ensure the reliability and efficient operation of rotating and industrial equipment. Brüel & Kjær Vibro, our strategic partner has set new standards in vibration measurement and vibration monitoring of rotating machinery. Our product lines comprise permanently installed online condition monitoring systems as well as portable off-line solutions. Your project manager at EcoXplore will gather a team of condition monitoring experts. He will guide you through each phase of the project. This ensures that your condition monitoring is realized the way you want it to. Our service team takes care of system installation, configuration, testing and commissioning on site. It will also take care of system maintenance and upgrade, customer training and machine fault diagnostics. Powerful software package for secure wind turbine monitoring. Precise, acceleration, vibration speed and non-contact displacement sensors. 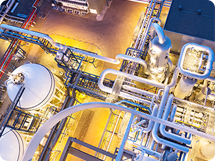 Scalable beyond machine protection for plant wide condition monitoring. The 16-channel system for scalar data reporting and early fault detection. The all rounders for machine diagnostics, balancing and condition monitoring. High-quality accessories form the perfect complement to your monitoring solution.